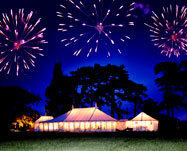 Burgoynes of Lyonshall provide high quality marquee hire for weddings and events. Operating throughout Herefordshire, Shropshire, Worcestershire and Powys, we specialise in marquee hire for parties, corporate events, festivals and agricultural shows. We offer a wide range range of lined marquees, traditional marquees and clear span halls for all events and ocassions. Our transport and logistics division covers the UK mainland. We operate an extensive fleet with vehicles ranging from 3.5 to 44 ton gross weight. As a company we are committed to the highest standards of customer care and are proud of the positive feedback we receive from our customers. We are here to help - please do not hesitate to get in touch for your marquee hire and transport requirements. 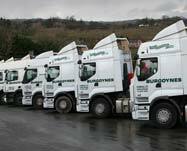 transport & logistics from Burgoynes of Lyonshall.